LP Backside Text: Though affiliated to jazz in the first place, György Szabados is also an outstanding figure of Hungary’s musical and intellectual life. Born in 1939, he was among the few to help to develop jazz as an independent genre in Hungary. In 1972 his quintet won the renowned San Sebastian Jazz Festival Grand Prize. He produced an album, Wedding, with a quartet in 1975; the music was rather abstract and difficult to approach, however, the record was a success both in Hungary and abroad. It was an important turning point in his life when he established the Kassak Workshop for Contemporary Music to help a new generation of musicians to develop a free and intuitive type of musical practice and to acquire a specifically Hungarian idiom. This experimental workshop has in the past two years helped Szabados to develop a new style in relatively long pieces composed for fairly large groups and introduced to the public at the 1981 Debrecen and 1982 Nagykanizas Jazz Festivals. Adyton, one of these works, features in this record. Szabados’s art is best characterized by a mental attitude that considers Central-Eastern Europe as the centre of “free balance” from where it is possible to see, assess and accept cultural influence both from east and west. This stances of his determines Szabados’ artistic foundations and affiliations: Eastern music, Hungarian (chiefly Transylvanian) folklore, Bach and primarily Bartók, all whose heritage he seeks to develop to suit requirements of the day. The Szabados oeuvre also includes a growing collection of musical essays. 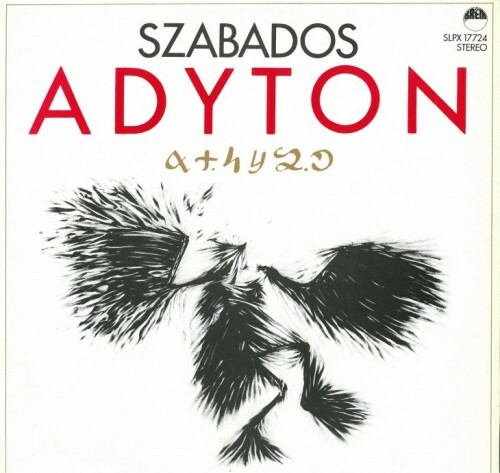 The present album is a selection of Szabados’ output over the past few years, including pieces for trio and the monumental Adyton in three movements. The double meaning of the title clearly refers to the composer’s frame of mind and artistic endeavors. Ady, the poet, is a symbol of the most progressive trends in art and thinking in Hungary, of experiments and soul-searching to identify and explore the controversial notion of being Hungarian. The other meaning of Adyton is related to Greek philosophy, in which it signifies “the innermost shrine” (the word was borrowed from the book Pathmos III by philosopher Béla Hamvas). The highly associative first movement of of the composition conjures up free images of the suspense and anticipation before man’s eternal desire to be admitted into the FEAST, this great communal rite, is fulfilled. With its carefully composed notes and rhythm, the second part evokes the harmony searched for the feast. The third movement brings back free improvisation; the exultant flight of the music is suggestive of harmony found in our peace of mind and the dignity of purification by admission to the community. 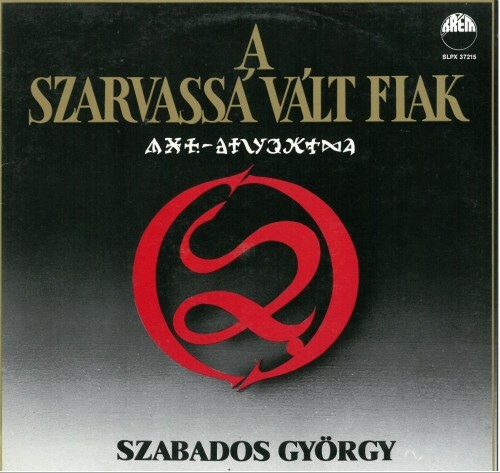 Szabados’ companions on this album, Sandor Vajda, successful in other groups as well and a decade-long partner to Szabados, and “Kazmer” Antal Farago, an outstanding specialist of free percussion in this country, make their contributions to the creation of a strange and individual musical world by producing a well-balanced, floating-fluttering rhythmic pattern to accompany the most prominent figures of “new wave” jazz in Hungary. This synthesis of free jazz and contemporary music, though rather difficult to understand and appreciate, has a large following among young Hungarians. In finding their way from art of “lower order” towards “quality art”, the followers of progressive youth movements in Hungary have discovered Szabados’ music for themselves, which is why we recommend this album to them. I am indebted to Mihály Dresch, István Fekete, Ferenc Körmendy and Antal Lakatos for their artistic contributions. Many thanks to Otto Tolnai, whose volume “Vilagpor” (World Dust) inspired my composition of the same title. This record provides evidence of the musical results from an extraordinary encounter, in which two musi­cians from different geographical and cultural regions have reached mutually inspiring cooperation. Here the common sources and perspectives of musical en­deavours become perceptible, without surrendering their individual characteristics. At a cursory glance, one could find little similarity between the lives of the two musicians, yet the expriences they have gained and the recognitions they have arrived at in their dif­ferent ways have given them corresponding, mutually supplementary motivations. Despite the difference in the outward difficulties both have had to face in their artistic development, there is far less difference bet­ween their internal conflicts and the perspectives they have gained through constant, consistent work. Anthony Braxton has been a central figure in contem­porary music for many years, and modern jazz tradi­tions and developed composed music alike have in­fluenced him. He began his activity in the Chicago musicians’ cooperative AACM, and first came to Eur­ope in 1969, since when he has worked with many musicians from all parts of the world and with several bands of his own. György Szabados holds a special position on the Hun­garian jazz scene, since his aim is not to copy an im­ported jazz idiom but to develop an independent musical trend. With his „musical mother tongue” (folk music, Bartók, Kodály and the like) as his starting point, he has managed over long years of creative work to renew and expand a manner of musical ex­pression in a way that resembles the effort of creative musicians throughout the world without surrendering its specific sources in any way. So, origins and paths of development aside, Braxton and Szabados have several noteworthy features in common. Both are open to other musical cultures. To Braxton „world music” is no diluted blend, it is a live exchange of experiences with musicians from other countries and continents. Szabados has been concer­ned for a long time with Afro-American music, and Braxton is far from unfamilliar with the realms of Schoenberg and Bartók. Szabados and Braxton have expressed their musical scope and ideas through both unaccompanied solos and ensemble work with other musicians. Although Braxton has more frequently changed his musical en­vironment, he too has always retained his musical id­entity, His respect for the prevailing context in which he is working shows in his receptiveness to the initiat­ives of Szabados the composer, to which he adds his own influence and in doing so makes the pieces his own. Braxton and Szabados arc examples of a new type of musician. Both compose, yet both are instrumental­ists and improvisers as well. By integrating the meth­ods of composition and improvisation, they have pre­cluded any simplified labelling of their creative process. Each in his own way has developed a dif­ferent yet comparable sense of form and construction in which spontaneity is never sacrificed to concept. Both are influenced by jazz, folk music and what is called serious music, but the results cannot be pigeon­holed into conventional concepts. 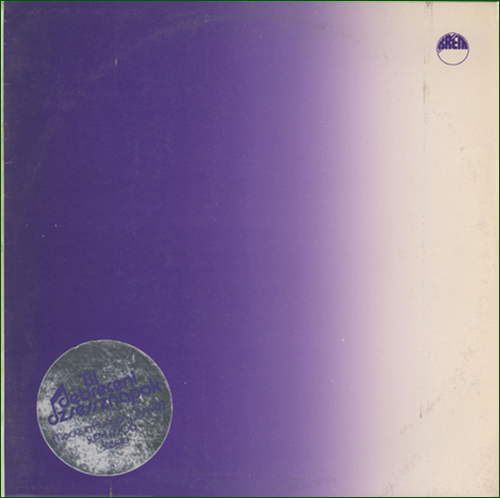 Another, important feature in common is that both Braxton and Szabados elaborate their music through a lengtny process that involves for both a deep commit­ment and sincerity. 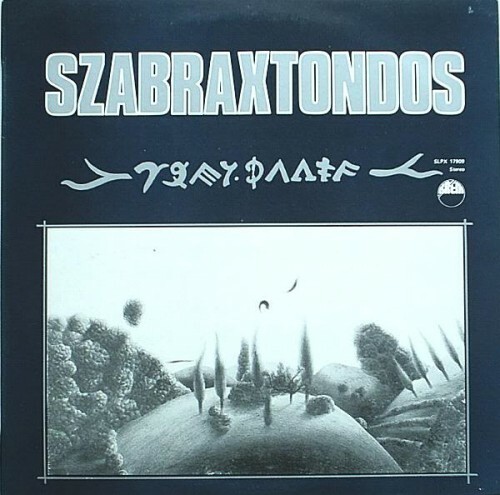 Szabados and Braxton first met in 1982 when they were performing in Györ, western Hungary. The foll­owing year the Braxton-Szabados duo played at the Daxberg festival in West Germany. Both wanted to keep up the acquaintanceship, and thanks to Hun­garian Radio, they made a two-day studio recording in Budapest in 1984, and then appeared again as a duo at the jazz festival in Debrecen. Their cooperation ranges from through-composed pieces („For Our Women”) to fully spontaneous in­teractions („szaBRAXTONdos”). In their works they break down the hegemony of the major-minor system (for instance by reaching back to pentatony or using chromatics), and concurrently they allow metric-rhythmic articulation to be eroded (among other means by parlando-rubato phrasing). The improvisa­tions display a reliance on common reserves of mat­erial and a sense of responsibility directed at structural contexts. „Bitter” (Keserves) is a perfoming direction denoting also a group of Hungarian folksong laments that links in an unspoken way a plaintive mood with a sense of hope. (Thus in the widest sense there is a kinship between the keserves and the remote realm of the blues). „To Revive a Dead Man to Dance” revol­ves in terms of content around a Tibetan rite in which the dead man is urged to dance by the kiss (and the will-power) of a living man. But if the energy and concentration prove insufficient, thc living man is sa­crificed to the dead. Disregarding their extra-Musical content, these tracks of the two playing together radiate a rare inter­weaving of lyricism and purposefulness. As documents of a musical encounter, punctiliously elucidating the intellectual and intuitive features that two musicians have in common despite the different paths of de­velopment they have trodden, they certainly have a significance that goes beyond the immediate. Diving into the dark realm of Chaos. The Lord’s ears are filled with silence. The response of my dark shell’s ivory keyboard resounds in me to the calling beast of His eardrum. Deep clarion carry me away; then I am overwhelmed by sweeping mystery. My brass-sounding self is fighting, I am enclosed in the troubled dance of sensations I am amissionary of fire. Toll, death knell, toll till red-hot; for the screaming struggle of the brass is without avail, no use in the droning of dimness; the giant trap of clapping strings tosses me into silence. The gates of the secret open, the soul steps forth and reveals itself to the Unknown. A farewell to the wounds of vanity, the clay encasement of the sould is torn open by long-forgotton sighs of its magma. A breeze of farewell and a prayer. The roaring happy feast of belonging peals forth, the ephemeral dance of joy flares up, then beneath it: the depth of fearful beginning calling, calling….. The orchestra of the Lord is playing. Move on, you tortured heart from the field of the Good mistakenly thought obtained: this is just a mirage. Set out on your last journey to the bright unknown. Carried away by gloomy Styx, vulnerably… The ivory keyboard of Desperation tolls in vain for you, all is covered, hidden by the last drought. There is no return from here, only the Creator can decide who will survive His hammer. Only a soul hotter than the melting pot of this furnace can survive; only if you give yourself up can you escape from the grasp of horror. And before the light of the Spirit shine up, the horrific stream of Darkness breaks through, the omnipotent law of Chaos would carry away everything, and in the rub-a-dub of the drummers of purgatory beating on your skin the mask of lies will burn on your face. Tear off your face” Wake up, Man! Your brass voice should ring clearly! Throw away the tentacles of falseness, else there is nothing any more. Step over your minute of existence, for the gate of Nothingness is but a step away. Heave yourself up where winds are not made of brass but of clear breath. Leave your frozen cocoon, take off your snake skin! Do not break, heart, now at the end. Wail over what remained after us: the pool of suffering and sorrow. You have reached the realm of the Spirit. You are home here, you can be the most: the dust of Nothingness, bright speck of dust floating in a lightbeam – my son who has become a deer. Stay and go on, Space is calling and keeping you, endless and eternal. And this M U S I C.